Welcome to the Lodge of Northbrook! 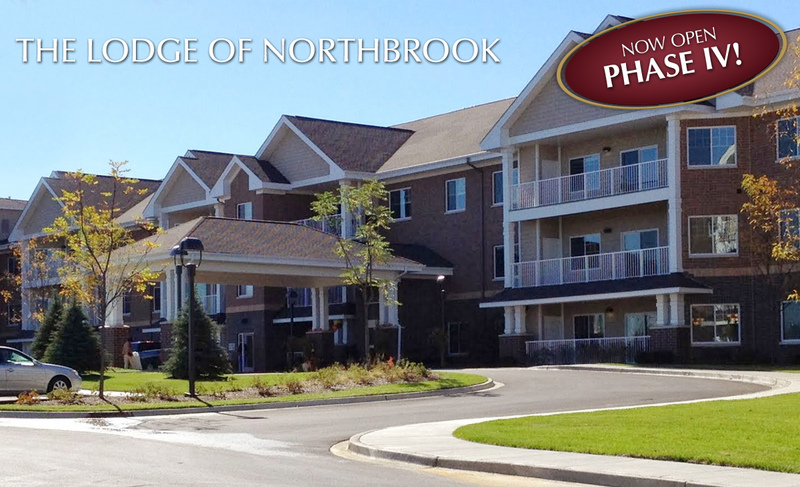 You are about to explore The Lodge of Northbrook, an active independent senior living community now open in the heart of Northbrook. Our residents enjoy a maintenance free lifestyle filled with opportunity to expand horizons and meet new friends, all in a custom community. Don’t miss out on this final opportunity to be part of our community! Call Lori today to schedule a tour (847) 772-9100. Phase IV now open and just a few floor plans are available. For a limited time The Lodge of Northbrook is offering unheard of incentives. This incentive applies towards the very few brand new floor plans now available in Phase IV. This is an extremely limited offer and is subject to availability and change. Don’t miss out, call today to schedule a tour (847) 772-9100. RIVER OAK floor plan is now available. This brand new unit is loaded with upgrades and finishes. This end unit boasts nearly 1,500 square, two generous size bedrooms, plenty of closet and storage space, a gourmet kitchen and your own washer/dryer and an abundance of windows and natural light. This very rare brand new unit is just waiting for you. Linden – This spacious 1,112 square foot two bedroom two bathroom floor plan has everything you need! An open kitchen featuring stainless steel appliances, granite countertops and plenty of storage. The living room is the perfect size for having friends over or relaxing and reading a good book. The outdoor terrace is private and feels like an extension to the living room. Two generous size master bedrooms feature full bathrooms and you will especially appreciate the large capacity washer and dryer. Honeylocust – This large spacious floorplan features 1,933 square feet of living space has two large master suites, two large walk-in closets, two full baths, a perfect den/office and a full size laundry room. The large open floor plan allows for an open and airy spacious kitchen with an oversized walk-in pantry, a large center island and plenty of cabinets and countertops. For those of you who love spending time outdoors, you will truly appreciate the oversized terrace where you will find plenty of space for your outdoor furniture and planting your favorite flowers. This home is loaded with upgrades.